Projects Abroad is launching three new destinations in 2008, Brazil, Jamaica and Togo. The first Portuguese speaking country we offer, Brazil makes a significant addition to our choice of Latin American destinations. Volunteers are needed to work here in the State of Rio de Janeiro in schools, on care and sports projects or you could learn Portuguese on a specific Language Project. 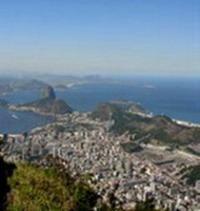 For more information about volunteering in Brazil click here. Jamaica is our first Caribbean destination. Away from the plush coastal tourist resorts in the inland town of Mandeville, welcoming Jamaican host families are looking forward to showing volunteers their Jamaica. Volunteers here can choose from teaching English and sports in schools, working in orphanages or on a medical project in the local hospital. For more information about volunteering in Jamaica click here. Togo adds a second French speaking option to our popular West African destinations. We’re thrilled to be re-starting projects in Togo after a three year break. Volunteers can choose from teaching, care or a unique law and human rights project, all based in the vibrant city of Lomé on the tropical West African coast. For more information about volunteering in Togo click here.